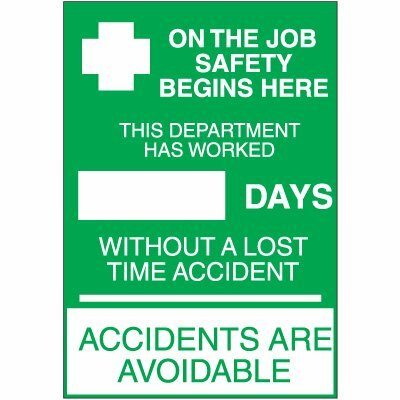 Seton's 0 Days Without Accident Sign are backed by our 100% Satisfaction Guarantee! 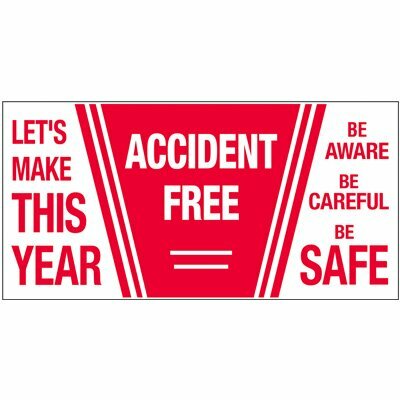 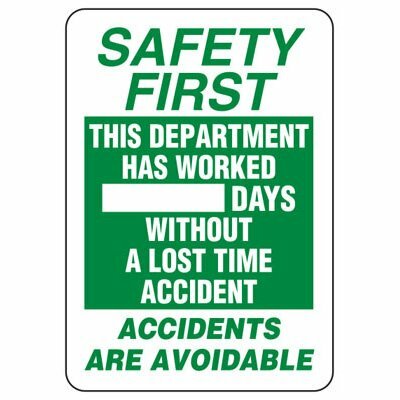 Select from a wide variety of 0 Days Without Accident Sign at competitive prices. 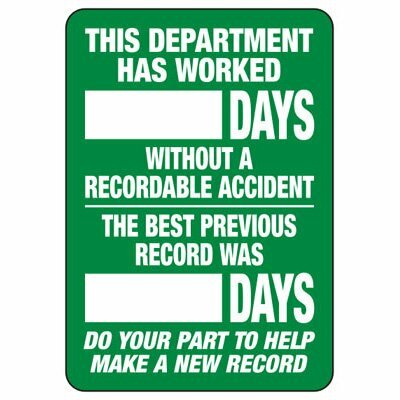 Plus most of our top-quality 0 Days Without Accident Sign are in stock and ready to ship today. 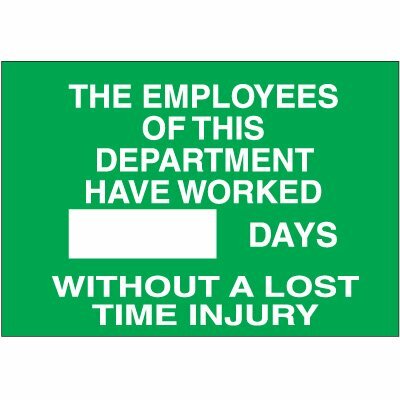 Safety first scoreboard signs are an easy way to track your company's accident free work days! 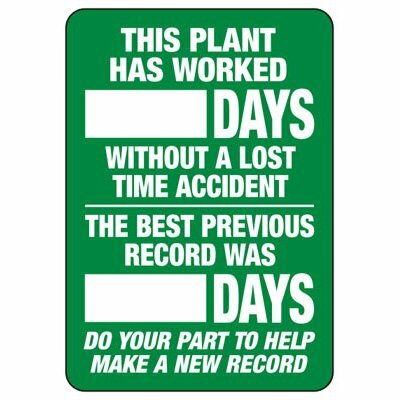 Plant accident free scoreboard signs make it easy to keep track of your accident-free work days! 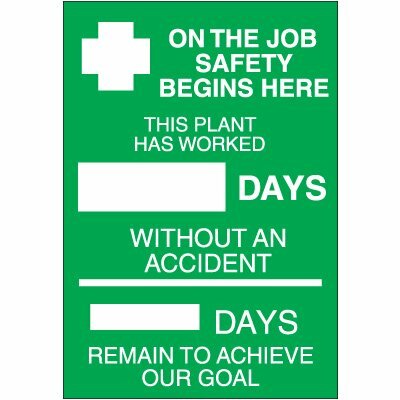 Setting the safety standard scoreboard signs are a great way to boost morale and keep track of accident-free work days!